A major rescue operation was launched in Rogart in Sutherland after a digger over turned in a river near Rogart. The alarm was raised at 10.05am and Coastguard Rescue teams raced from Helmsdale, Dornoch and Inverness as well as the helicopter Rescue 948. As well as the Coastguard the fire service sent two water rescue units from Elgin and Inverness plus two additional appliances. By the time the Coastguard helicopter arrived the ground teams had already managed to get the casualty to safety and he was then transferred to the air ambulance. There is no word on his condition and the rescue operation had concluded by 10.50am. 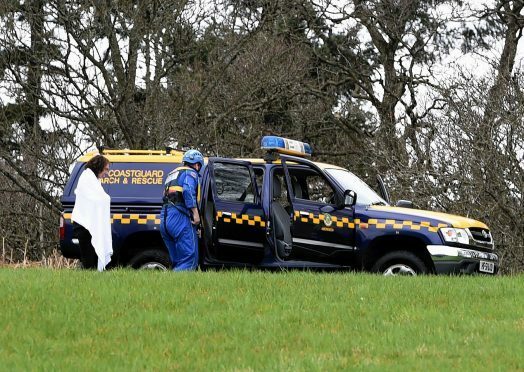 A police spokesman said: “Police Scotland along with partner agencies from HM Coastguard, Scottish Fire and Rescue Service and the Scottish Ambulance Service attended at a property in Rogart after a report that a digger had fallen down an embankment into water.